Sending journalists out to report on unrest in the Middle East is not a new concept for the media; news articles from the Gulf War, Afghanistan, and now Iraq have dominated recent times. However, the difference in Iraq is the technology they are using to file their reports, it has undergone something of a technological revolution. Access to specialist satellite equipment is open to more people than ever before. Our UK office has helped equip the only two Midlands based journalists with some of the hardware they need to report ‘up to the minute’ news from the front lines in Iraq. 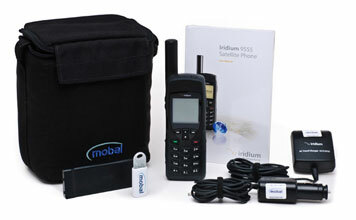 Deputy editor Keith Harrison and photographer Alan Evans of the Express & Star have rented an Iridium Satellite phone to use alongside their RBGAN satellite modem and Apple G3 laptop computer in the Gulf as part of their standard equipment. Using the Iridium network of 66 satellites orbiting the Earth at an altitude of 450 miles, the journalists will be able to speak to their news desk back in England without having to rely on the Iraqi telephone networks that could become a military target. The use of satellite phones is not a totally new development for war reporters, they were used in the Gulf War back in 1991, the difference lies in the size and availability of satellite phones. 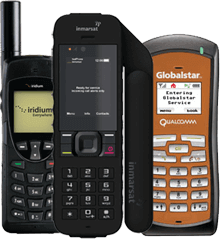 Today, instead of having to operate 40kg units that needed generators or mains power, journalists are able to use handsets like the Iridium satellite phone that weighs a much friendlier 382g and, operates much like a standard cell phone. Also, as is the case with all technologies, the more developed they become the lower the prices go. Now it is not just the media market leaders that can afford to use satellite technology but many freelancers and smaller companies as well. The term ‘Backpack Journalist’ has been coined to describe this new generation of reporters who are using compact, light weight satellite technology such as the Iridium satellite phone; one person with one pack can carry all the equipment needed to file news reports. As a result it is easier for them to operate from the thick of the action. 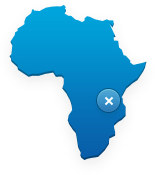 What this means for people back home is more spontaneous, independent and ‘up to the minute’ information from the world’s danger zones. 4 thoughts on "Satellite Phones help develop ‘Backpack Journalists’ in Iraq"
We want to have 1 each satellite phone for our project usage in Majnoon, Iraq. Can you please assist me the contact details or any of your supplier in Iraq? Can these satellite phones be purchased by the general public? Would they be feasible for hikers and backpackers? I think these kind of devices would be great, especially in deep canyons and remote areas. What are the costs involved?